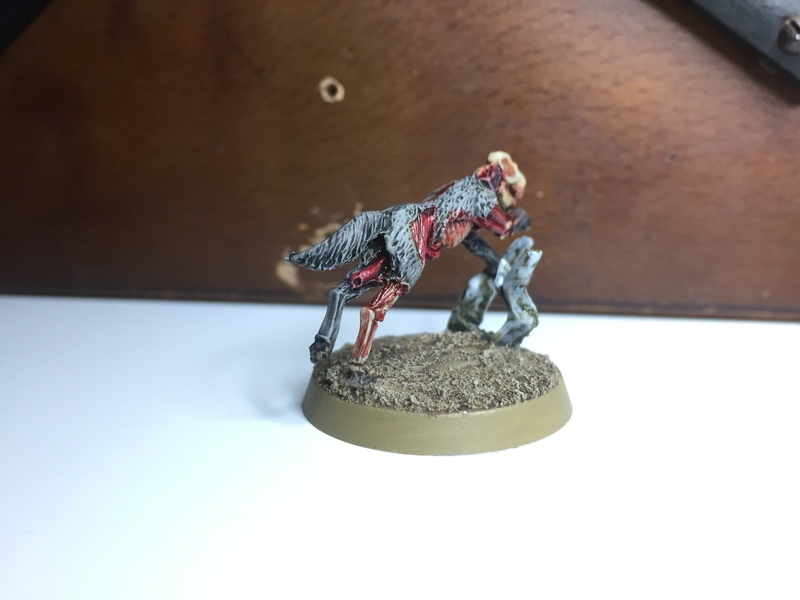 I initially thought of running these as Dire Wolves, but they aren’t really dire enough imo… I quite like the thought that any corpse with teeth would be useful the enterprising necromancer, so I’m happy to chuck these rotten mutts in with the bulk of my shambling flesh walkers for now. 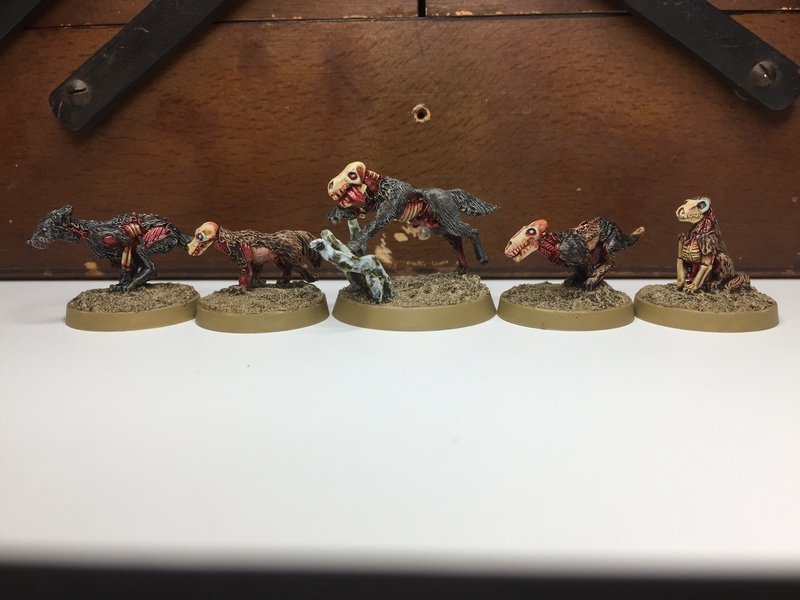 Again, these were pretty easy to do, and are lovely little minis. Just look at this disgusting bit of protruding arse-pipe detail! Great work on those, they do look icky. 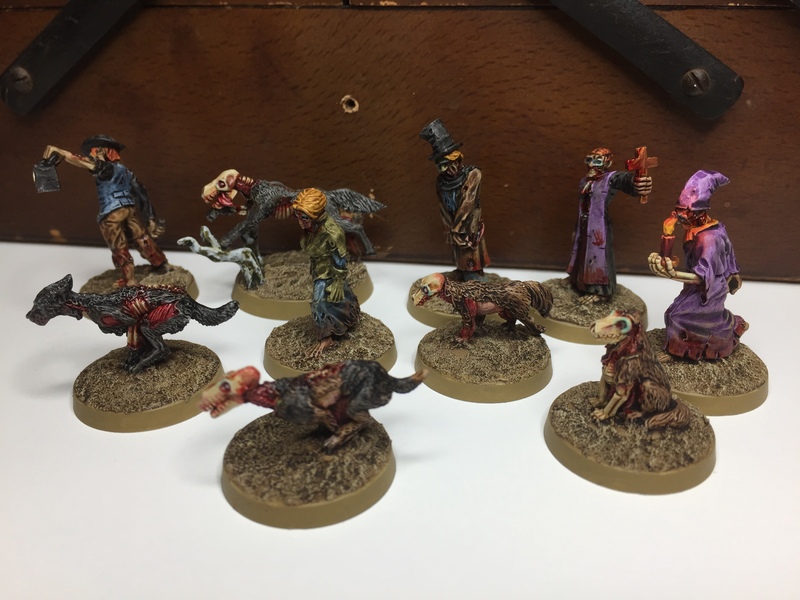 Congrats on going ahead with RPGs, can’t think of a better hobby – and that includes miniatures! Cheers dude, and yeah, I’m looking forward to giving it a whirl! What RP are you going to be trying? They are frickin’ gross mate, really unpleasant :-) No idea what RP I’ll be playing – it sounds like the group has a number of things running concurrently, so we’ll see! Hehe – cheers dude, they are pretty gnarly! 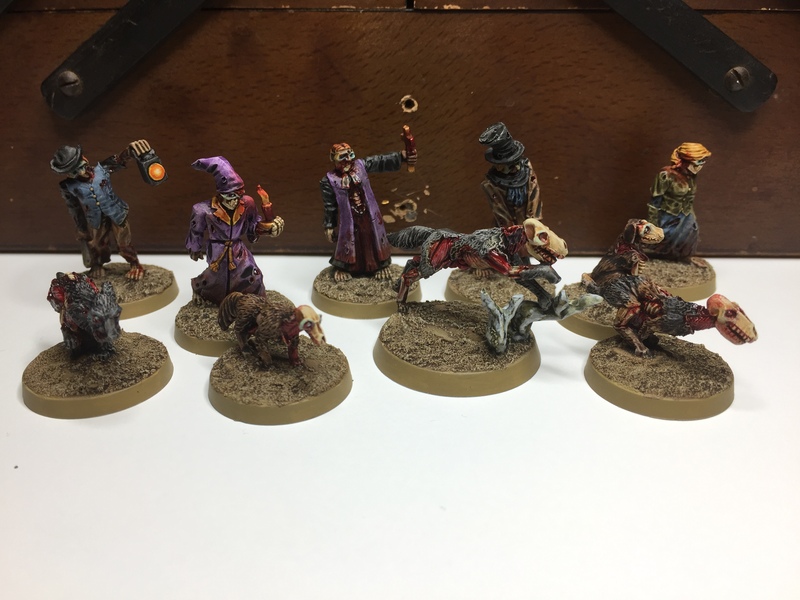 Great looking group of zombies – and a bit of a different niche than the two “typical” types of zombie models – fantasy and modern – though they look like they’d fit in very easily with either of the others. Thumbs up! They look really cool mate. I especially like the purple. 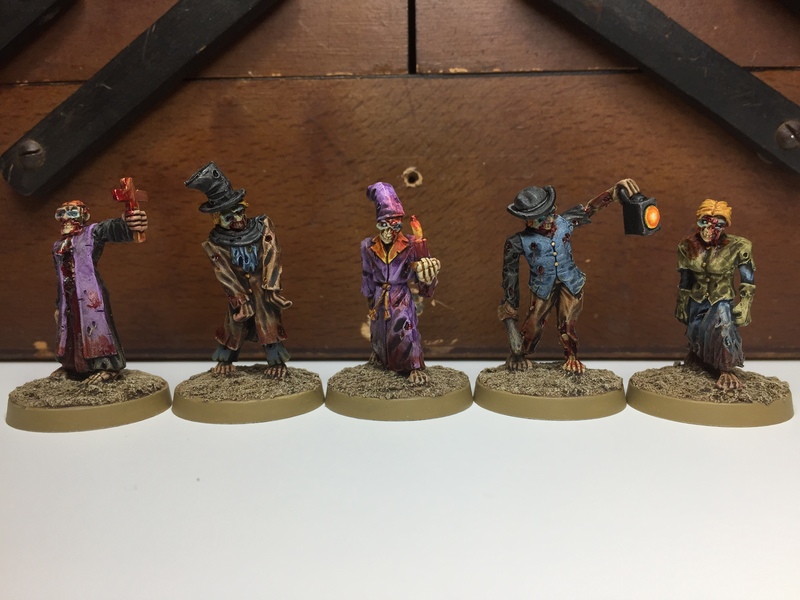 Love the Victorian fleshwalkers. So much character and charm. Your paint job is great. So what RPG will you be playing? Hey, thanks mate – just a quick wash job really, but I find the technique is quick, and works pretty well for this kind of mini I think.